Microsoft System Center Suite: Windows Azure Pack - Where's my disk space gone? I was cleaning up an environment the other day and noticed that one of the servers in a Windows Azure Pack deployment was running very low on disk space. 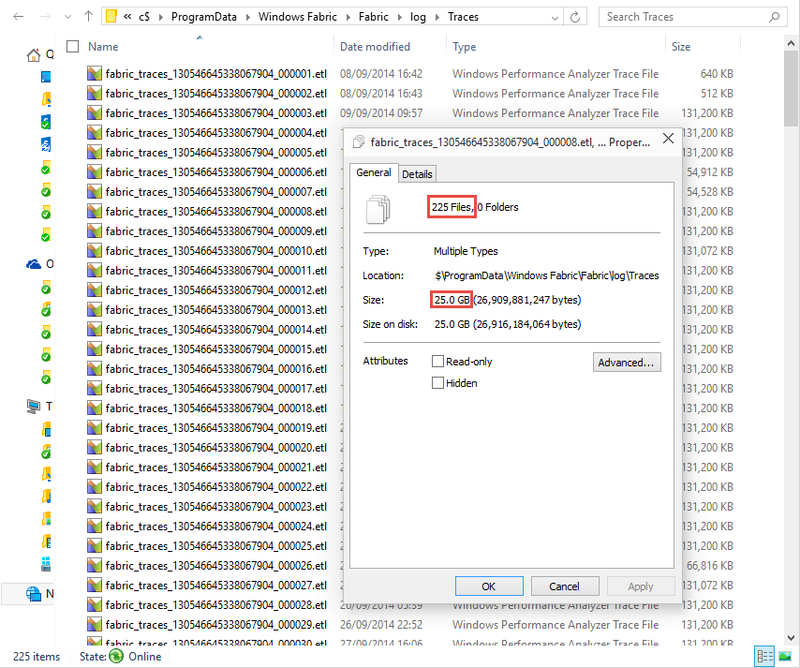 Intrigued as to why I started digging in to find out what was consuming it all and it turned out to be the large amount of etl files (Windows Performance Analyzer Trace Files) that had been created in the C:\ProgramData\Windows Fabric\Fabric\log\Traces folder. Simple solution, if you're not busy troubleshooting, delete them. However, why are they created and what can be done to stop them filling the drive again? One of the parts of the Windows Azure Pack (WAP) that can be deployed is Service Bus. "Service Bus provides messaging capabilities that enables you to build, test and run loosely-coupled message driven applications." One of the pre-requisites for Service Bus is the Windows Fabric application. "Windows Fabric is a Microsoft technology used for creating highly reliable, distributable, and scalable applications." You may have come across this pre-requisite before if you've deployed Microsoft Lync Server 2013 which also uses it. 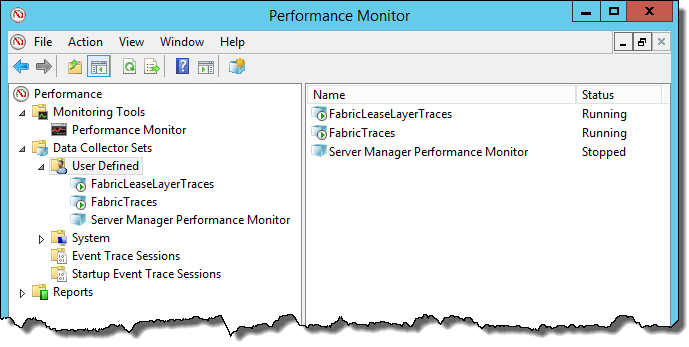 Basically, when Windows Fabric installs it creates some performance counters and logging is enabled on these as default. You could just stop these, but then if you hit a problem you'll be without the traces to help you. In the short term, it would be better to enable circular logging instead. This way you will at least have some traces to help (default is rollover at 128Mb). Oh, don't forget to clean out those stale logs and free back up that disk space! Thanks for this valuable information .i was really learn about content how impact on devops tatistics but i get the answer of most of my queries. Thanks for this valuable information .i was really learn about content how impact on devops openings in hyderabad tatistics but i get the answer of most of my queries. Thank you very much this website provided was very helpful information and well appreciated!.let's share etl testing vacancies in hyderabad like this.